Music discovery. 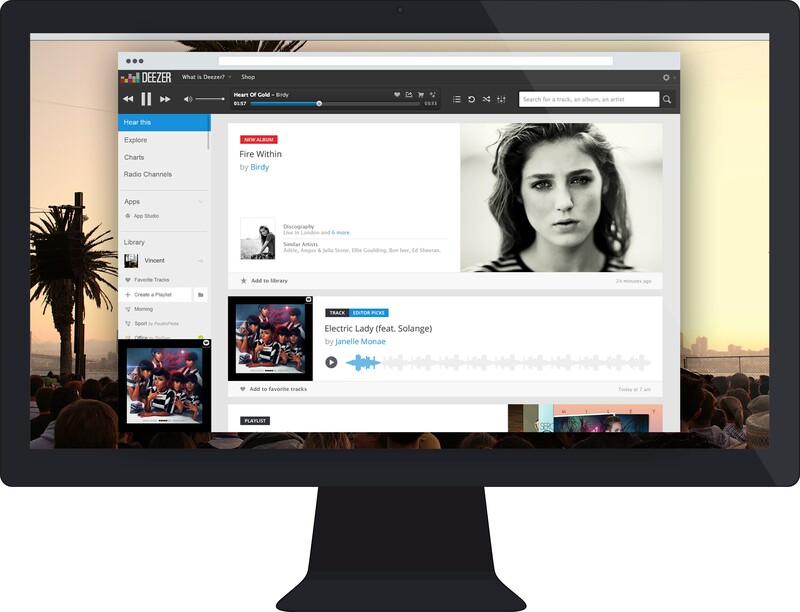 It’s a difficult problem for any firm running an on-demand music streaming service. Users can listen to millions of tracks just by searching for a specific song, album or artist, but therein lies the problem. How do you help the people who don’t know what to search for? Deezer is hoping to solve this conundrum with Hear This, a visual feed filled with personalized recommendations, some of the latest releases and records hand-picked by its in-house music editors. Being closer, he argues, is about framing music recommendations with a sense of context that is specific to the user. Simply generating a spreadsheet of suitable tracks and then sending it as a playlist to one of its users isn’t helpful. There needs to be a story that resonates with the listener. Finding this context is more difficult now that music fans no longer buy CDs or vinyl. In the past, music discovery would occur in all sorts of places: You might visit a friend’s house and find a new record sitting on their coffee table or in their CD player. Other times, you would find a new band while browsing through another fan’s vinyl collection, or speaking to the clerk in your local record store. Digital music, Dauchez says, stands alone. When you search for a track on a music streaming service, there’s usually just a piece of artwork and a link to the artist’s profile page. More often than not, there is no information that explains why you might like it, or whether anyone you trust would recommend it. Hear This is about offering some of that context within Deezer. A friend’s playlist might include a smattering of your favorite bands. A new release could be from an artist that aligns with your preferences or listening habits. By explaining the source, Deezer thinks its users will be more likely to click and listen to these suggestions. Dauchez fully expects, however, that different types of recommendations will also appeal to different people. 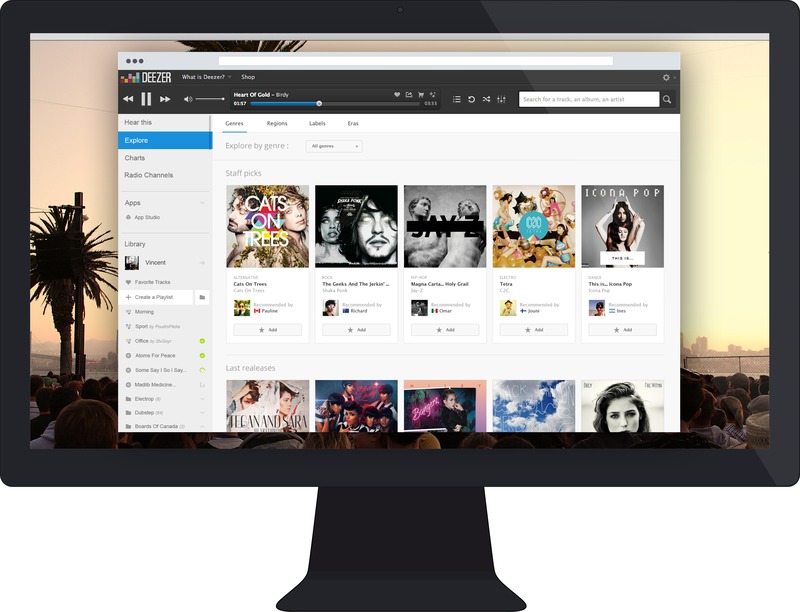 Deezer is renowned for its global network of music editors, which help ensure that the platform is never over-reliant on algorithms. It’s also another way of contextualizing the firm’s music recommendations, although Dauchez warns that it’s paramount the content still matches users’ tastes and preferences. “If it’s not fitting with the user’s profile, not only is it not succeeding, it’s also killing the discovery process,” he adds. Listeners might not trust Deezer’s editors straight away. Instead, the company will focus on building a brand and an overarching discovery experience that users can rely on. It doesn’t matter if it’s an algorithm, or a music editor that picks their next favorite track; Deezer subscribers want high-quality suggestions first and foremost. Deezer also has interesting ideas about user profiling. To ascertain your personal preferences and tastes, Dauchez wants to look at other parts of your life. This includes the area you live in and the country that you were born in. Not just what you listened to, but where and when you listen to it. A better of your life and identity – an approach that Google wears on its sleeve – Deezer can improve its suggestions and the effectiveness of its music editors.